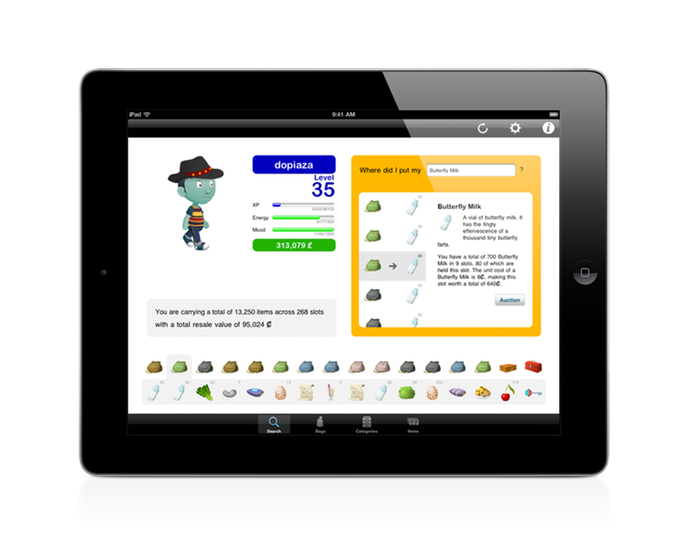 Glitch Inventory for iPad® makes keeping track of all your stuff as easy as whortleberry pie. Ever forget where you put your stash of Butterfly Milk? No problem, just enter 'milk' into the search box to see where all your Butterfly Milk is in a single glance. Need to see how much food you are carrying around? Just look at the Categories view where you can see all your things, neatly grouped together. Too many cabbages? Well, we've all had that problem at one time or another, but with Glitch Inventory for iPad, you can easily auction off your surplus goods with just a few taps on the screen - the app will even help you figure out the best price to charge by telling you what other people are charging right now. To use Glitch Inventory for iPad, you'll need an account with Tiny Speck's massively multi-player on-line game, Glitch. Glitch is free to play, so there's really no reason not to. Glitch Inventory for iPad is available on the App Store℠ today. Apple and iPad are trademarks of Apple Inc., registered in the U.S. and other countries. 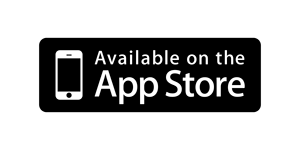 App Store is a service mark of Apple Inc. Glitch is a trademark of Tiny Speck Inc. Glitch Inventory uses the Glitch APIs but is not endorsed by or affiliated with Tiny Speck, Inc. (the makers of Glitch) in any way.